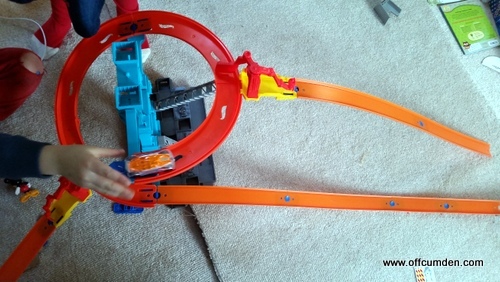 We have been trying out the Hot Wheels Track Builder Spiral Stack-Up set and seeing how it fits in with the other Hot Wheels tracks we have at home. I was impressed with the packaging, you simply had to push your thumb into the back to open it. 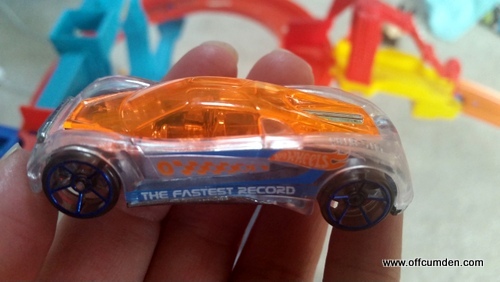 Usually I end up hacking at Hot Wheels packaging with a knife, so it was definitely a welcome change! My son absolutely adores the car which came with the pack. Orange is one of his favourite colours and he enjoys that you can see through the top of it. The set was easy to put together and the instructions were simple. Some of the previous packs took a long time to put together and it was nice to be able to put it all together in just a few minutes. The trackset is designed so that you can build and rebuild in every direction, be it horizontally or vertically. You can place a car at all of the gates so that you set them off at the same time. This means you can have some great races using the set. The RRP for this set is £20.99. 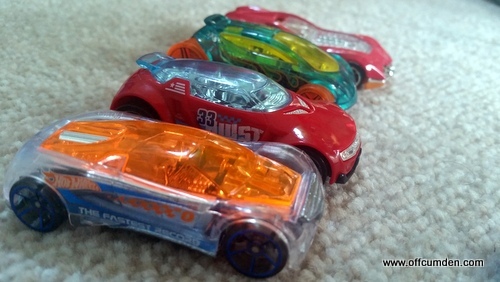 It ties in well with the other sets we have and it adds to the ability to race cars on the track. The children have both had such a fantastic time racing cars around their bedroom. I am looking forward to adding the power boosters (which we already have) to part of this track and seeing them absolutely whizz around! 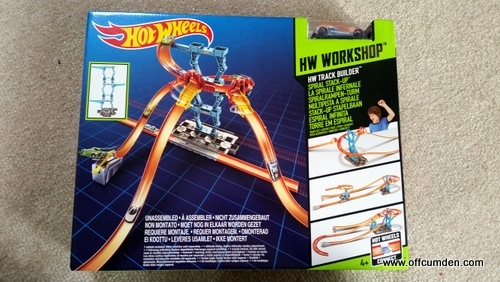 I would recommend this trackset in addition to any other Hot Wheels sets you already have. I wouldn't recommend buying it as a first set as it is relatively limited to what you can do with it and will work better with other tracks too. Hot Wheels currently have an exclusive promotion on. If you buy five Hot Wheels cars then you can get your hands on a free, limited edition Black Car. For further details visit their website. Disclosure: I was sent this Hot Wheels set for the purpose of review. 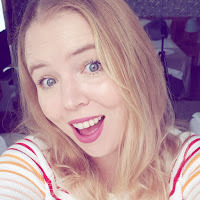 This had no impact on my post.